Duragesic is one of the brand names for fentanyl, a strong painkiller delivered in the form of a skin patch. According to the National Library of Medicine, these skin patches may be habit-forming. Even those with a legitimate prescription for the drug have found themselves living with an addiction after regularly taking the drug. There is hope, though; Duragesic rehab centers are in operation from coast to coast. These centers feature state-of-the-art care, professional staff, and warm, welcoming environments. When you or a loved one are ready to take the next step and say goodbye to addiction, just call 1-888-341-7785. Our helpline will guide you in your selection of an ideal Duragesic treatment facility -- one that will meet your needs and give you an excellent chance for success and sobriety. 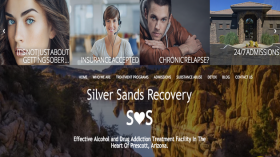 Rehabilitation for drug abuse consists of both inpatient and outpatient care facilities. An inpatient facility offers all the advantages of around-the-clock support and supervision. For those with a profound addiction, a change of scenery is often therapeutic and speeds the recovery process. When your bad influences are out of sight, it's easier to concentrate on making a better future -- one without drug addiction. Duragesic rehab centers combine the best medical and alternative treatments for addiction with caring, dedicated staff members. Contrary to popular opinion, rehab is not a punishment or like jail. Instead, it's a nurturing place where you can reboot your life and rediscover your passion and enthusiasm. 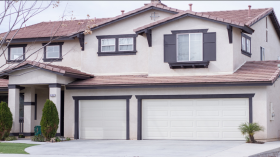 If you find yourself overwhelmed with the thought of defeating your addiction, then a residential facility is probably the best choice. A Duragesic treatment facility can help you break the bonds of addiction. For many people, addiction is a gradual process that begins with abuse, or using the medicine in a way not prescribed by your doctor. If you don't have a prescription, then any use constitutes abuse. Over time, your body develops a tolerance to the drug. You require more of it to achieve the same level of euphoria. Dependence is related to tolerance, but they're not quite the same thing. When you're dependent on a drug, stopping it will lead to withdrawal symptoms. It's possible to be both dependent and tolerant of a drug without being addicted. However, addiction nearly always includes dependence and tolerance. The Drug Enforcement Agency fact sheet on Duragesic explains that the drug is often abused as a substitute for heroin, which offers a clear indication of its potency. Duragesic rehab centers respect the privacy of all their clients. Your medical information is protected by the Health Insurance Portability and Accountability Act, just as if you were visiting the hospital or your doctor's office. The center may even provide individual rooms upon request. Treatment facilities understand the embarrassment some people feel in admitting they have a problem. Group and individual therapy sessions are aimed partly at addressing these concerns. The stigma of drug addiction leads to a reluctance to get help, in some cases. The professional staff of a treatment facility will want to turn that stigma around. Indeed, addiction is a medical problem, and there's no shame in seeking medical attention for it. Your stay in rehab will largely be determined by the level of care you need. In general, a longer stay provides more opportunity to build self-confidence and faith that the addiction is gone forever. However, Duragesic rehab centers are more than willing to work with people in terms of length of stay and intensity of treatment methods. Even a relatively short 28-day stay can be very effective in terms of dealing with detoxification and withdrawal. When you check into a rehab center, a staff person will assist you in filling out all necessary paperwork and answering any nagging questions that you might have. After you undergo a routine physical and receive your room assignment, you may receive medications to ease the symptoms of detoxification and withdrawal. According to the Drug Enforcement Agency, the active ingredient in Duragesic may be hundreds of times more potent than heroin. Because of that extreme potency, undergoing detox at one of the many Duragesic rehab centers is a wise choice. Throughout your stay, you will experience positive reinforcement in the form of group and individual therapy sessions. Sharing your story, and listening to others share their stories, is an effective way to build bonds of kinship for the future. Daily meetings with a counselor will help you analyze your past behaviors and devise new responses to stress and disappointment. You will learn to replace old, unhealthy habits with ones that will improve your character. There are several ways to pay for the cost of treatment. Many Duragesic rehab centers accept major medical insurance. Others allow for a flexible payment schedule if the bill is too large to pay all at once. The primary goal is to get help, and these facilities are interested in working with you to see that happen. When executive responsibilities are keeping you or someone you care about from getting help for a problem with drugs or alcohol or behavioral addiction, executive rehab centers will be what you need. By coupling great drug, alcohol or behavioral addiction treatments with the ability to use a computer or mobile device, an executive team member can receive support while keeping productive. Frequently, current drug abuse and behavioral addiction treatment centers offer the luxury amenities one would only expect in the world's finest hotels, with your comfort and well-being being the top priorities. From private rooms and 5-star chef-prepared meals to fine linens and gym facilities, you can get the best-quality illicit substance and behavioral addiction treatment for yourself or someone you care about while relaxing in style. For support in looking for excellent luxury treatment facilities for Duragesic addiction, dial our no-charge hotline today at 1-888-341-7785. Before entering treatment, you will want to think about whether staying close to home is important to you. For many people, a dramatic change of scenery is beneficial. You'll also want to think about your plans and goals after treatment ends. Consider all the things you've wanted to do that were sidelined by addiction. Make a list of goals, both short-term and long-term goals, that will keep your mind moving in a positive direction. The only other thing you have to ask yourself is whether you are fully ready to embrace a healthier, better way of living. No one should go into a situation without all of the relevant facts in hand. If you or someone you love is thinking seriously about seeking treatment for Duragesic addiction, call 1-888-341-7785. A professional operator can provide you with all the information you need about Duragesic rehab centers, intake procedures, costs, and treatment methods. Duragesic rehab centers often combine elements from several treatment approaches. For example, a faith-based retreat center may also stress the enduring values of community, friendship and neighborliness. Recovery doesn't stop when you walk out of a rehabilitation center. The next step is to put all of the lessons you've learned into action. With the right support network and a positive attitude, your future will undoubtedly be bright. Don't let yourself or a love one suffer any longer with an addiction to Duragesic. All across the country, there are treatment centers ready to welcome you with open arms. Start the process today by calling 1-888-341-7785. You will be connected to a national network of Duragesic rehabilitation programs. Courteous support personnel will help you choose the one that's right for you. What are the slang, street names or nicknames for Duragesic? The National Institute on Drug Abuse lists “apache,” “China white,” “dance fever,” “tango” and “TNT” as street names for Duragesic. Am I addicted to Duragesic? When most of your daily thoughts and activities revolve around acquiring more of the drug, you are quite likely in a state of addiction. What are the long-term effects of Duragesic abuse? Prolonged abuse of Duragesic can alter the way your brain perceives pleasurable stimuli. Heavy usage can also harm the liver because it has to process so much of the medication. A stay at a Duragesic rehab center can help reverse many of these effects.